E.S.L. and froglogic GmbH today announced a strategic partnership to distribute and support froglogic’s Squish GUI Tester and Squish Coco products in the market of Israel. E.S.L. will promote and resell Squish GUI Tester and Squish Coco in Israel and provide local, technical support services to their customers. Squish GUI Tester is the market leading, functional test automation tool for cross-platform and cross-device GUI testing on desktop, embedded, mobile platforms and web browsers. 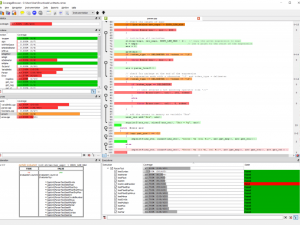 Squish Coco is the professional, cross-platform C, C++, C# and Tcl code coverage analysis tool. Both tools are used in more than 3,500 QA and development organizations around the world. Founded in August 2005, ESL (Engineering Software Lab Ltd) is an Israel-based technical software reseller and professional services Company focused on: Source Code Analysis for Quality & Security, Version Management, Mathematical Computation, Open Source Compliance, Standard Compliance, Build & Release Automation & Application Performance Monitoring. For each of our market leading software tools: We offer end-to-end solutions that include pre/post sale consulting services, Integration & implementation services, Training & first tier of support. ESL’s executive team has a wealth of combined industry knowledge, making the company a dominant player in the Israeli enterprise Software quality and development market. The ESL team has acquired extensive experience by helping Israeli companies, and clients worldwide integrate product development processes departmentally across the enterprise. At ESL, everyone is committed to providing full life-cycle support for developing, testing and delivering market-driven products. The focus is on helping customers manage and deliver the highest value products possible. froglogic GmbH is a software company based in Hamburg, Germany with additional offices in the USA with over 3,500 customers worldwide. froglogic is famous for its automated testing suite Squish with its flagship product Squish GUI Tester, the market-leading automated testing tool for GUI applications based on Qt, Java AWT/Swing, SWT/RCP and JavaFX, Mac OS X Carbon/Cocoa, Windows MFC, .NET and WPF, iOS Cocoa Touch, Android and for HTML/Ajax/Flex-based web applications running in a variety of web browsers. Also, froglogic is offering the professional, cross-platform C and C++ Code Coverage tool Squish Coco.